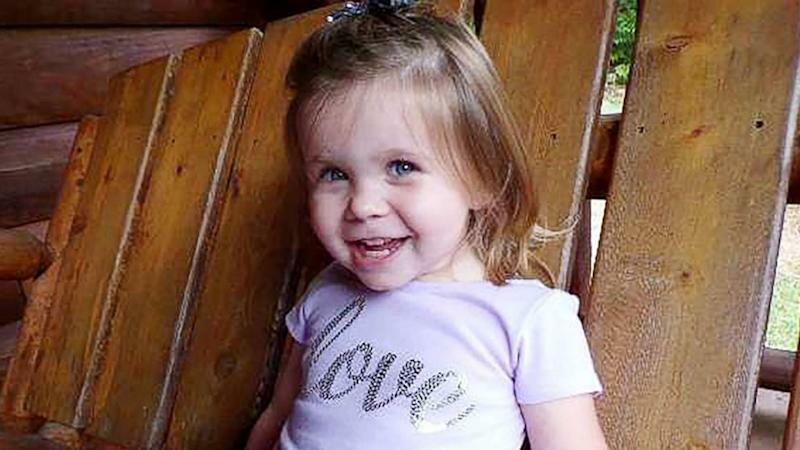 A 2-year-old Tennessee girl -- described by relatives as "spunky" and "sassy" -- is fighting for her life after being hit in the head by a stray bullet while playing on a backyard slide, authorities said. Ariel Salaices was shot while playing with her brothers, ages 12 and 5, in the backyard of their home in Mountain City, Tennessee, about 150 miles northeast of Knoxville, according to the Johnson County Sheriff's Department. The little girl was in critical condition and on life-support Thursday at the East Tennessee Children's Hospital in Knoxville, her aunt, Stephanie Brown, told ABC News. Sheriff's investigators said Ariel was shot on Friday. Investigators are still trying to identify the person who fired the errant shot that hit the child in the back of the head. Brown said that after getting shot, Ariel attempted to run to her father. The girl ran about 20 feet before she collapsed, Brown said. The girl's father immediately picked her up, put her in his vehicle and sped to the closest Johnson County emergency medical services unit, Brown said. 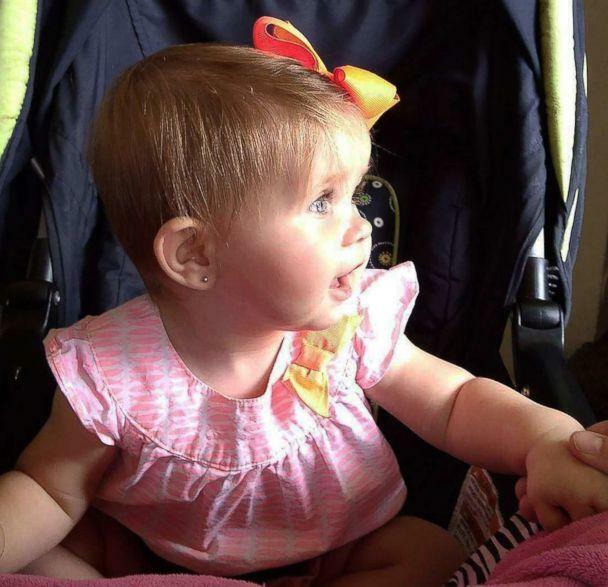 Ariel was then flown 44-mile drive to the Johnson City Medical Center, and was later transferred to the East Tennessee Children's Hospital in Knoxville. Brown pleaded for the person responsible for the shooting to come forward. "I just have to say that even if it was an accident, I know they have to know what happened. It's been all over the news. They really need to come forward," Brown said. She said that while there is a gun range close to the family's home, investigators do not believe the errant shot came from there. Johnson County Sheriff Edward Tester told ABC affiliate station WCYB-TV that the incident is an example of how dangerous it is for someone to be shooting guns around homes. "If you're using a firearm and doing target practice or hunting, make sure you're looking beyond where you're shooting," Tester said. "Because that bullet may not stop where you want it to." Brown said Ariel's mother and father are keeping a vigil at her bedside, staying at a Ronald McDonald House near the East Tennessee Children's Hospital. "Ariel is a very spunky little girl. She's sassy and she's full of life. She's definitely not one who wants to sit still," Brown told ABC News. A go GoFundMe page has been established to help cover traveling expenses so that Ariel's parents can continue to be with her in the hospital. 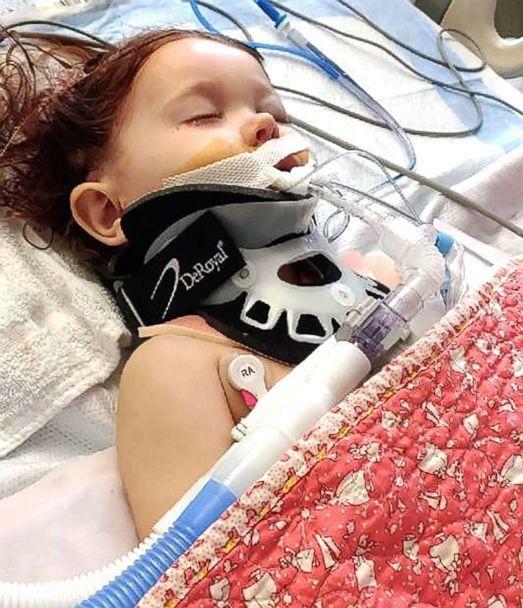 The girl has undergone several surgeries, including one to remove part of her skull to relieve the pressure on her brain, according to the GoFundMe page. As of Thursday afternoon, the page had raised $7,000. "She [Ariel] has already proved she's so strong and we have many plans for that little girl, so we have plenty of faith that the Lord is going to work in his way," the family wrote on the GoFundMe page.